I made this earlier this year but didn’t get around to posting it. 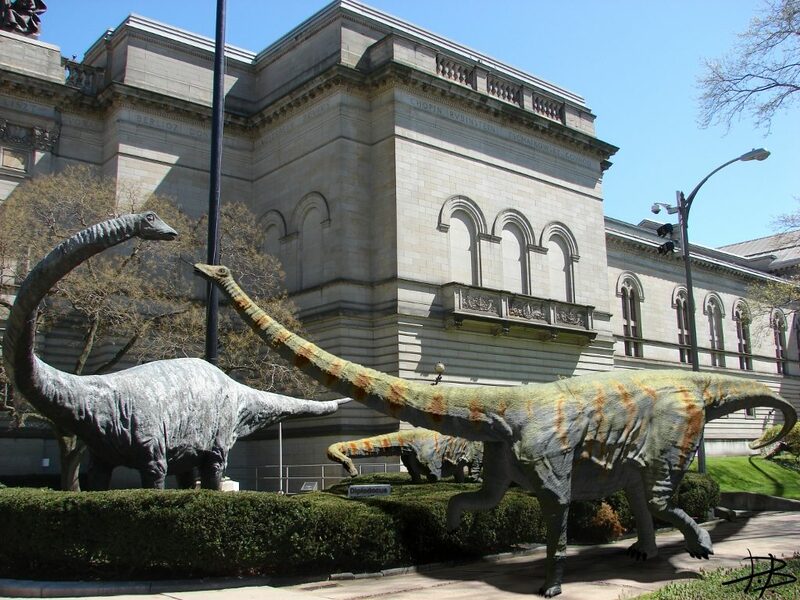 This is the famous “Dippy” diplodocus sculpture that stands outside the Carnegie Museum of Natural History, which is easily my favorite place to visit in Pittsburgh, PA. Some new friends just strolled in from Schenley Plaza. I modeled the diplodocus dinosaurs in Blender, photographed the museum and statue with my iPhone, and did texturing and compositing in GIMP. This was an exercise in integrating a 3D computer model into a real world photo with at least somewhat realistic lighting and shadows.